“Your mission you should chose to accept it.” We’ve heard those words for years and every time we do we know that we are in for a wild time. 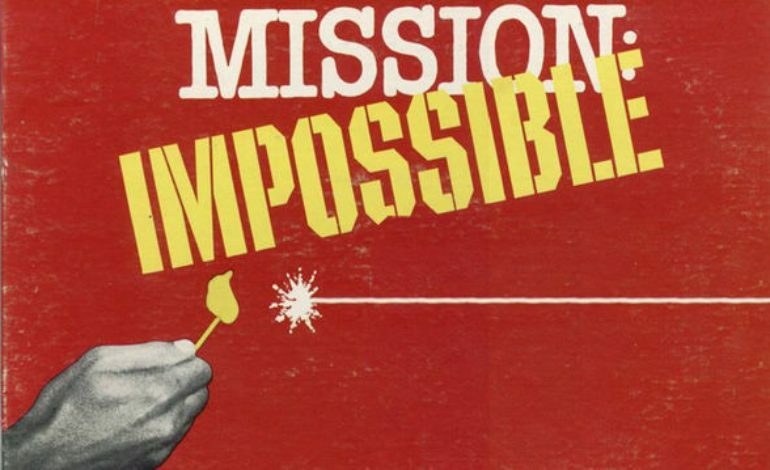 With the release of Mission: Impossible – Fallout last week, this is a great time to revisit Tom Cruise‘s Mission: Impossible films and rank them, determining which are worthy of watching over and over. So, without further ado, light the fuse and here we go! Does anyone remember this movie at all? Easily forgettable and featuring action sequences that are too over-the-top to be considered plausible, M:i:III introduces us to Ethan Hunt’s wife (played by Michelle Monaghan) and gives us a story that doesn’t feel exciting at all. Personally, I think it’s boring, and even the villain (played by the late Phillip Seymour Hoffman) is menacing but not memorable in the slightest. It also has the most forgettable IMF Team of the entire series and earned the least amount of money at the box office. Co-written and directed by J.J. Abrams, M:i:III is worth skipping completely and fails as an action movie. The one that started it all is drastically different from the 1960’s television series of the same name. Director Brian De Palma delivers a complicated story that may confuse some, but it’s nevertheless entertaining in its own right. While not as action-packed as the other films, the movie is filled with suspense, especially the vault scene. It’s rounded out by a good cast and a winning performance from Tom Cruise, solidifying his position as a franchise-carrying action star. Not as fast-paced as others in the series, but still a worthy entry. Featuring a great villain and the first introduction of The Syndicate in the franchise, Rogue Nation is fast-paced and exciting. Writer and director Christopher McQuarrie presents a compelling story and wild stunts that include Ethan Hunt hanging onto the side of an airplane while it’s taking off! I want to see more of The Syndicate to get a sense of their organization, but overall Rogue Nation is a thrilling piece of summertime entertainment. I think there are better movies in the franchise, but it’s one to not overlook, especially since it precedes Fallout (which is the first direct sequel in the series). Criminally underrated and largely overlooked, John Woo’s amazing action sequences and straightforward plot make this entry one of the most entertaining in the series. A menacing villain played by Dougray Scott, a fantastic soundtrack by Hans Zimmer, and John Woo’s acute attention to coherent action keep me glued to my seat. It’s a highly entertaining entry, and not to forget the only time we see Sir Anthony Hopkins in a Mission: Impossible film. M:I-2 is action-packed, filled with kinetic energy, and it never lets up! 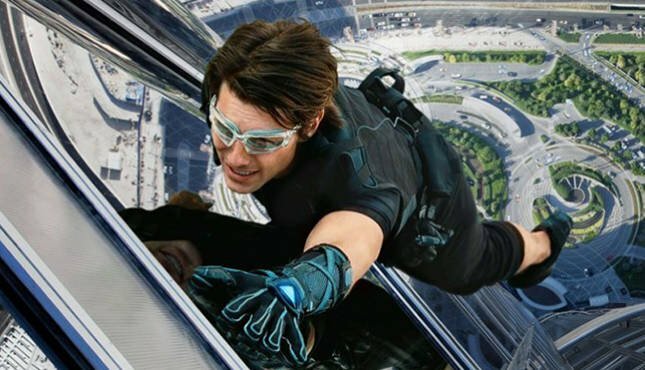 Ghost Protocol is one of the funniest, most thrilling and most enthralling missions that Ethan Hunt goes on. With a linear plot involving someone trying to incite a nuclear war, the story also manages to shine a light on the supporting cast. Benji Dunn (Simon Pegg) becomes a field agent, William Brandt (Jeremy Renner) is introduced as the Chief Analyst (or is he? ), and Jane Carter (Paula Patton) is featured in an emotional revenge sub-plot. Seeing Tom Cruise scale the Burj Khalifa, barrel through a massive sandstorm, and fight the villain in an automated car park makes Ghost Protocol a fabulous time at the movies. The live-action debut of Brad Bird (The Iron Giant & The Incredibles) delivers one of the most entertaining Missions yet! Believe the hype and everything you hear, because Fallout is the best in the franchise for a number of reasons. Featuring mind-blowing stunts, impressive action, numerous twists and turns in the plot, and the return of a villain who first appeared in Rogue Nation, Fallout is non-stop fun and the ‘Best Movie of the Summer’ hands-down. The film boasts an incredible soundtrack by Lorne Balfe that perfectly accompanies the action, and the outstanding direction of Christopher McQuarrie shines. Henry Cavill (Man of Steel) makes for a fantastic addition to the cast. Fallout showcases the sheer determination of Tom Cruise to deliver fantastic work to keep movie-goers returning to see his movies. Its opening weekend broke the box office record for the franchise, practically ensuring that Ethan Hunt will return once more! This is the best spy movie I’ve seen since The Bourne Ultimatum. Well, there you have it; my ranked list of the Mission: Impossible movies. Tom Cruise is a unique action star who I think deserves more credit for the films he appears in. He’s really a fine actor, performing his own stunts as we walk away amazed and wonder, “How did he do that?” Being 56 years old, the day will come when Cruise will have to step down from the role of IMF Agent Ethan Hunt, but for now we can appreciate this franchise that has exploded into something that far exceeds the show that preceded it. “Your mission should you chose to accept it,” is a staple line from the series, and this is a franchise that I will continue to enjoy for years to come. I only wonder if one day Ethan Hunt and James Bond will meet. Now that would be something I’d love to see!